Build community and engagement with you blog comment section with the best comment plugins for WordPress. If you have a blog page on your website, you probably already know that the comments section play an important part in terms of engaging and interacting with the readers. Your readers can ask questions, share their opinions about your topic, and create discussion. You can even add social sharing tools and integrated communities so that you'll be able to reach more audience. In this post, I'm going to share with you the seven best comment plugins for your WordPress website. First, let me discuss the advantages and disadvantages of adding comments section on your blog post. If you are writing for a specific audience, adding comments sections on each article will allow you to interact with your audience in an easier and faster way. The discussions created by your readers, be it between you and your reader or the other readers, become as much important as the content you are providing them. Comments section help create a new discussion that is related to your specific topic. It helps raise questions and add in more details that help your readers to understand the topic more deeply. Comments section also allows your readers to provide you with their immediate feedback about your article or probably about the way you're doing things. They might or might not like your style and their feedback can guide you to improve it. You're like getting a blog consultation without paying even a penny out of your pocket. Pretty cool, right? Reading through your readers' comments can really give you an idea of what content to write next. Some may not fully understand your topic and are looking for a more in depth related topic. So, you can write your next article based on your readers' comments. Some readers might also suggest of the topics that they want to read from your blog. So, if you struggle with thinking about what to publish next, then comment section is a good source of ideas. Yes, your readers' comments can help boos your website's SEO performance. If they frequently use the keywords that you're trying to rank, boom, your post will surely start ranking higher for those specific keywords. Google will also know that many readers are engaging and interacting with your blog and might rank you higher. But, I recommend that you moderate and filter comments to make sure that the content added to your website is of high quality. When you get more and more readers commenting on your blog, that's when you begin to build your community around it and you'll see a form of loyalty from your readers. Now, not everything with adding a comments section is good. There are also several disadvantages of adding a comments section and why it is better to just disable it. Spam comments take away valuable minutes of your day and nothing is more annoying than that, right? Even if you have little audience, you still can be invaded by spam comments that are mostly bot-generated. That is why many website owners decide to just disable the comments on their website. Even though you install a spam blocker on your website, there are still spam messages that can get through. That is why I suggest that you moderate comments. But, also keep in mind that moderating comments is not an easy task. It can be very time-consuming especially if you have a large audience. It's perfectly fine if your readers have different opinions about your topic. But some people really take pleasure in spreading negativity. Well, if you've decided to enable the comments section on your blog, you should choose the right comment plugin for your website. Here is a list of these WordPress comment plugins that I find the best. Akismet Anti-Spam checks comments and contact form submissions against its global spam database and save these comments on the Comments section of your WordPress dashboard for you to review. It checks all comments and if they look like spam, Akisment filters them out. There is a status history for you to track which comments are filtered out and tagged as not spam by a moderator. The worst spam are automatically blocked, which saves you disk space and speeds up your website. URLs are also displayed in the comment body to easily track malicious and hidden links. Your moderator can see how many comments are approved for each of your readers. So,if you are running a personal blog, you can use this plugin for free. But, if you are going to use it for your business, you need to purchase the plugin to get the necessary Akismet API Key. Thrive Comments actually has an amazing functionality. It is compatible with any WordPress theme and it easily integrates with the native WordPress comments functionality. And do you know what makes it best among the other plugins? It helps you in generating more leads and you can build a community within your comments section. Now, all these best features come with a price. 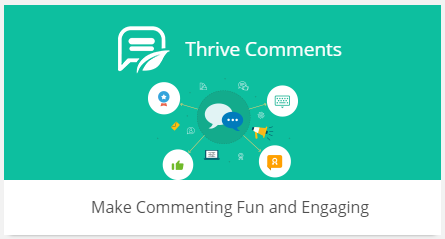 You can purchase Thrive Comments plugin for $39 on a single website, $47 for 5 websites, and $97 for 15 websites. Disqus is probably the most popular commenting system with about more than 200, 000 active installations. It helps you to engage directly with your readers to increase loyalty, reader retention, and build a thriving community. This plugin is easy to integrate with WordPress even if you don't have any coding skill. You can activate it with its one-click installation. With its user-generated comments, your SEO ranking is more likely to improve. What are the best features of Disqus? Disqus does not affect your website's performance as it loads asynchronously. If you want to migrate to another system, you can still have the existing comments as you can export them to a WordPress-compatible XML. You can measure the overall engagement on your website with its analytics dashboard. You can sort the comments chronologically or by which comments are the best. You can be notified of the new activities on your website through email notifications. You can use Disqus on your website for free. 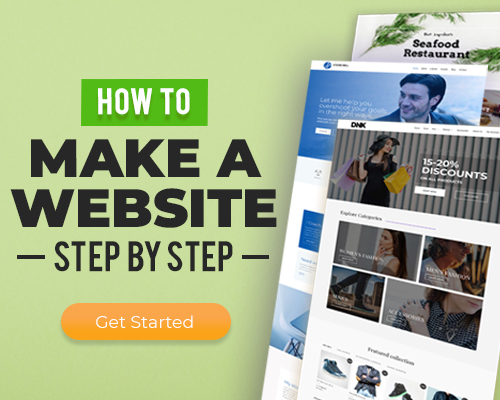 However, if your website is a large commercial one, it also offers subscription plans which start at $10 per month. For sure, if not all, most of your target readers do have their own Facebook accounts. Therefore, you can use the WP Facebook Comments as its main feature is that it allows your readers to post their comments using their Facebook accounts. Your readers can even choose to share their comments with their Facebook friends. And using Facebook tools, you are able to moderate these comments. Isn't it cool? You can moderate comments with your Facebook profile and app. It's mobile responsive and fully customizable. You can add comments section on your pages and custom locations just bay adding the shortcode. It's localized in more than 56 languages. You can add the Facebook comments widget. If you want a free plugin that effectively blocks spam comments and trackbacks without captchas and sending personal data to third party services, you can't go wrong with Antispam Bee. It's ad-free and 100% GDPR compliant. What makes Antispam Bee one of the best? It allows comments only in a specific language. It validates the IP address of your commenters. It blocks or allows comments from specific countries that you set. You can add spam indicators to directly delete spam comments. With statistics dashboard to display spam detection rate and number of blocked spam comments. Does it come with a pro version? No. It's totally free and you can use it for personal or commercial purposes. Some comment plugins load automatically when page or post is loaded, causing slow performance of the website. With Lazy Load for Comments plugin, comments are prevented from automatically loading. Instead, when a reader scrolls down to the comments section, that's when the comments are loaded. Aside from lazy loading, what are its other features? It improve page loading speed. No other complex configurations needed. But, if you are a developer, you can add hooks for customization. If you think that it's better to just disable comments on your website, then you can use the Disable Comments plugin. It allows you to globally disable comments on posts, pages, attachments and any post type. You can also remove comment-related items from your dashboard, widgets, admin menu and admin bar. If you are on multisite installations, you can disable comments on your entire network. Remember, use this plugin only if you decide to disable all comments on your website. This plugin does not work for selective comments, okay? And, delete all your existing comments first before using this plugin. Yes, comments are one of the great ways to engage with your readers. But, moderating comments can be very time-consuming. So, it's really up to you whether you want your comments section enabled or disabled.